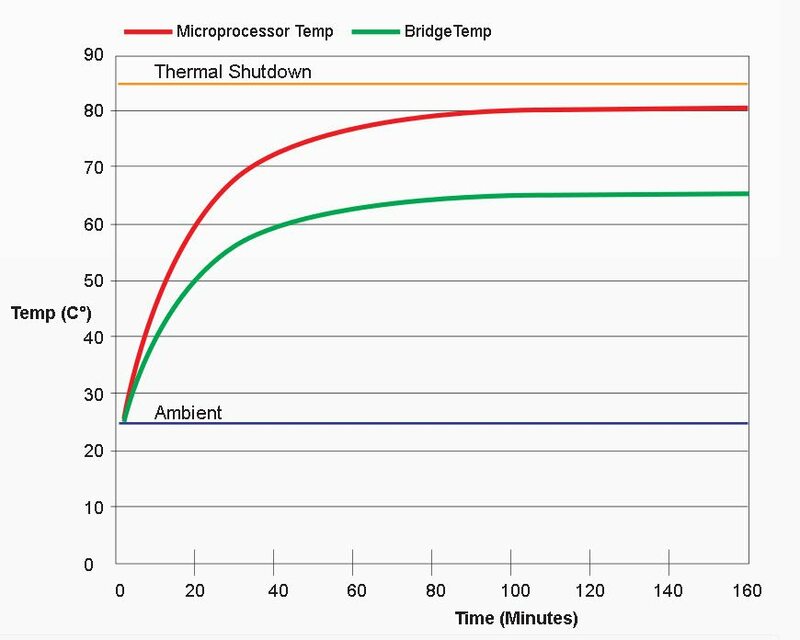 There are many variables affecting MDrive running temperature, it is difficult if not impossible to accurately predict thermal performance in a particular application. 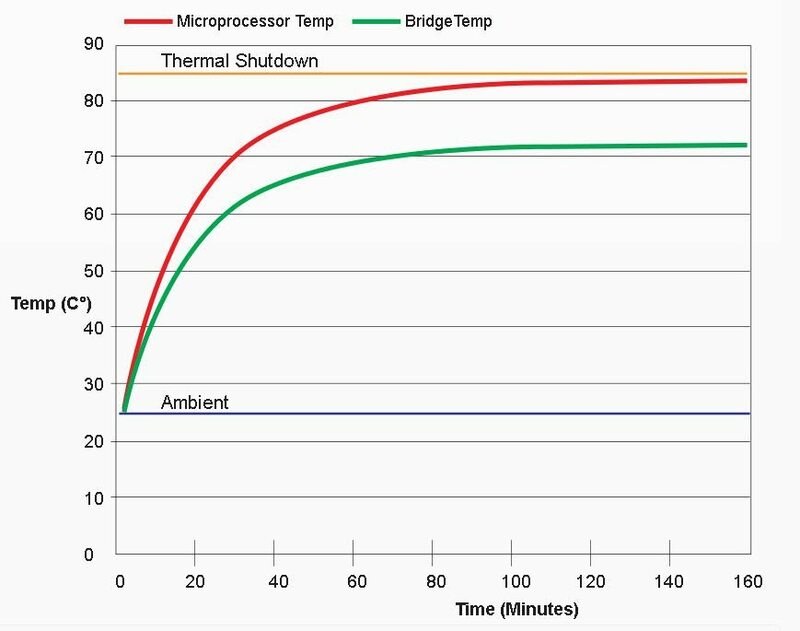 When testing an application with Lexium MDrive, the important thing to ensure is that the heat sink temperature never exceeds 85°C and the motor lamination temperature never exceeds 100°C. 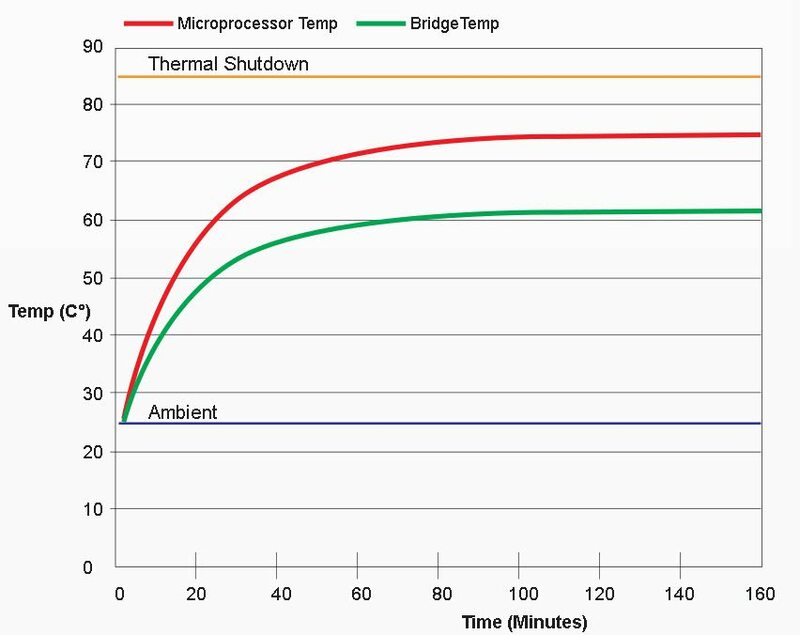 The preliminary thermal performance graphs below show some of the frame sizes and lengths. More graphs will be added as they become available. Note that raising or lowering the ambient temperature raises or lowers the drive temperature by a roughly equivalent amount.